How will you use your membership? Campus leadership is pleased to renew our Academic Impressions institutional membership. Effective October 1, 2016, the entire UCSC campus is participating in Academic Impressions’ AI Pro yearly professional development memberships. AI is not a policy organization. Their programs focus on what can be done today and tomorrow, given an organization's unique goals and constraints. Through focused and intentionally crafted learning experiences, they help institutions address their most pressing challenges, guiding them through in-depth discussions, analysis, and application. “Our main interest is helping colleges and universities around the globe tackle the issues that directly impact their overall health and ability to compete. We address a range of issues related to student enrollment and learning, faculty support and engagement, alumni and donor support, and increasing organizational productivity. - Amit Mrig, President and CIO Academic Impressions - Watch the video! UCSC is participating in all four of the AI Pro memberships: Academic Affairs, Advancement, Enrollment Management and Student Affairs. Anyone with an @ucsc.edu e-mail address may use any of these memberships at any time. 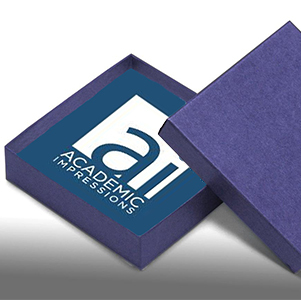 Academic Impressions (AI) provides research, publishing, and training on issues that directly impact the sustainability of higher education. AI has published hundreds of articles and papers, interactive training programs, and topical and timely webcasts, serving over 50,000 academic and administrative leaders across 3,500 colleges and universities. Visit the Training & Development page for your access credentials and portal link.